Who knows what lurks in the hearts of villains and superheroes? 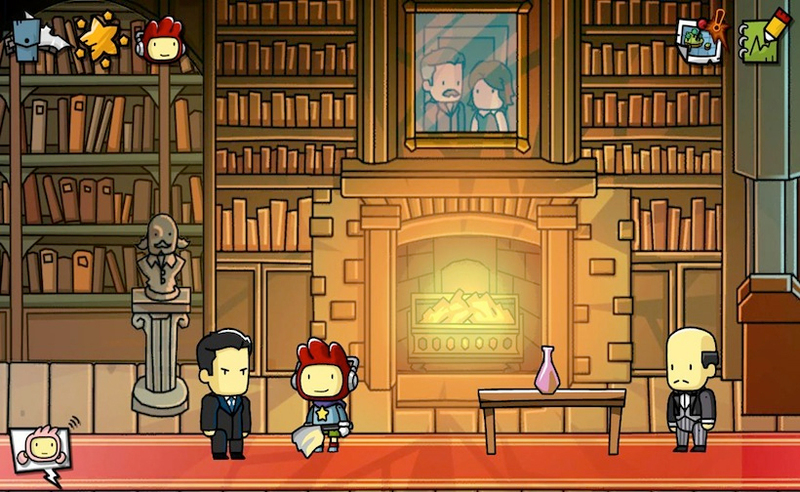 Actually, Maxwell, star of the Scribblenauts series, may have a good idea. 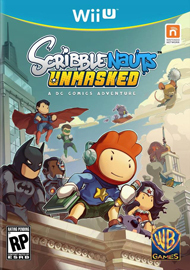 In his latest outing, Scribblenauts Unmasked: A DC Comics Adventure, he finds himself inside the pages of comic books, working alongside his favorite heroes and villains. See, it all begins with an argument between Maxwell and Lily. Both love them some comics and get quite passionate about their favorite characters. Maxwell is all about Batman, and Lily is all about Superman, and they determine that the best way to solve their argument is to get out the famous, magic notebook. This move leads to them into the actual comics to find out the answer. 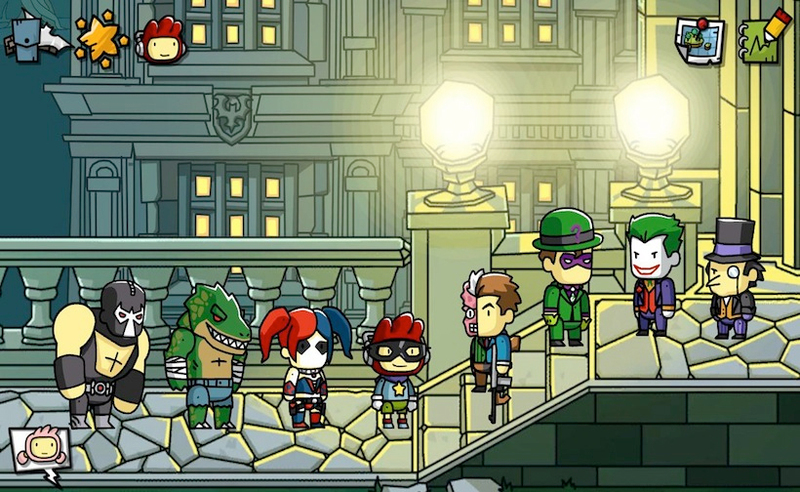 Once there, however, they find that it isn't about proving who is best: In Scribblenauts Unmasked, the heroes and villains have problems. They may need food, improved items, weapons, or disguises. What begins as a way to end a typical sibling argument ends with Maxwell and Lily getting a chance to save the day. Since Maxwell was in a superhero game, the first thing I had to do with Scribblenauts Unmasked was make him look the part. I gave him a rather nice red cape and mask. He couldn't look out of place, after all. As an odd side effect, I noticed caped Maxwell had the ability to fly in the demo. 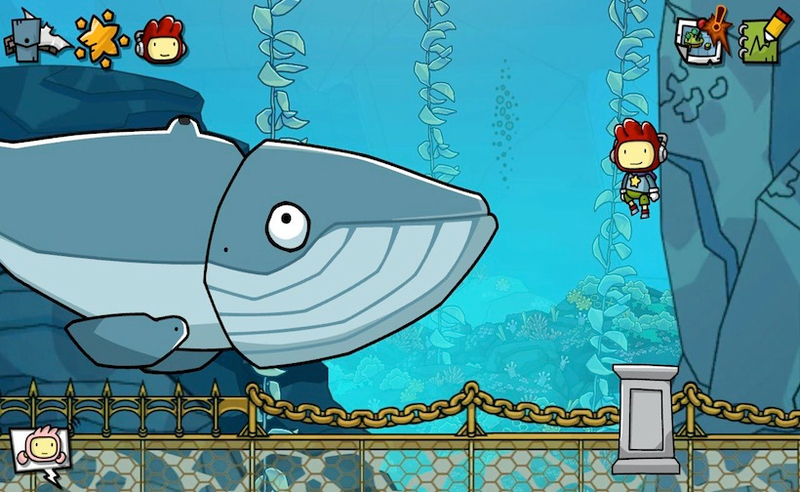 Perhaps it was because of rewards earned by previous players of the demo: I'm not exactly sure, but I do know that Maxwell was able to float all over the screen, and that isn't a bad thing. Now, I have a secret to admit to all of you. I'm a Marvel girl. I'm not exactly up on all of the DC Comics heroes. 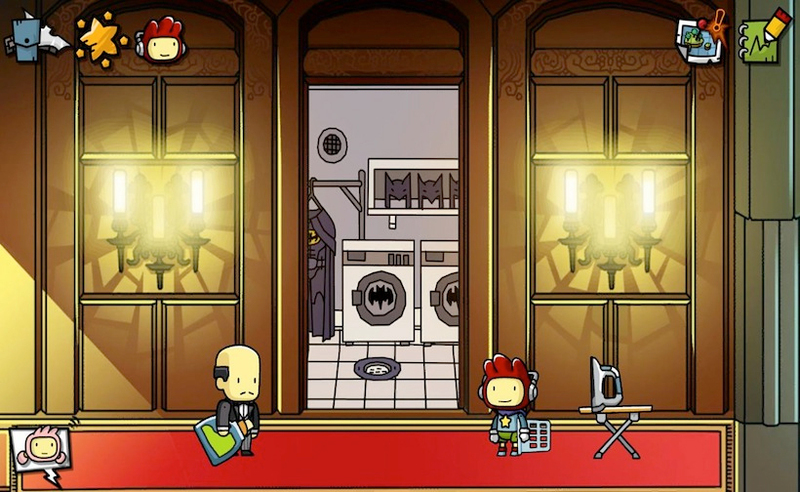 So it wasn't as though I could really put Scribblenauts Unmasked to a proper test while at E3 2013. While in Gotham City, though, I figured I'd do my best. Batman, Wonder Woman, Superman, Green Lantern, Hawkgirl and Harley Quinn were the first characters I summoned. I soon realized that I probably should have given Harley some backup, as the heroes immediately set about beating her into oblivion. Whoops. 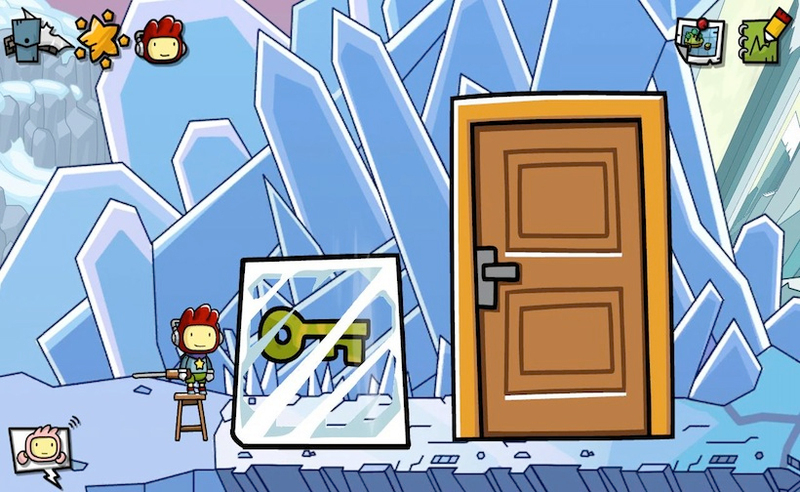 A person doesn't have to be a DC fan to find out whom they can summon in Scribblenauts Unmasked. I found I could access the Batcomputer at any time during play, and I could use that to see who could possibly be summoned into the game. I could randomly search through characters, or I could put in a search term and see what other characters would come up as a result of that term. If I selected a character, I could also read through a brief bio on him or her. 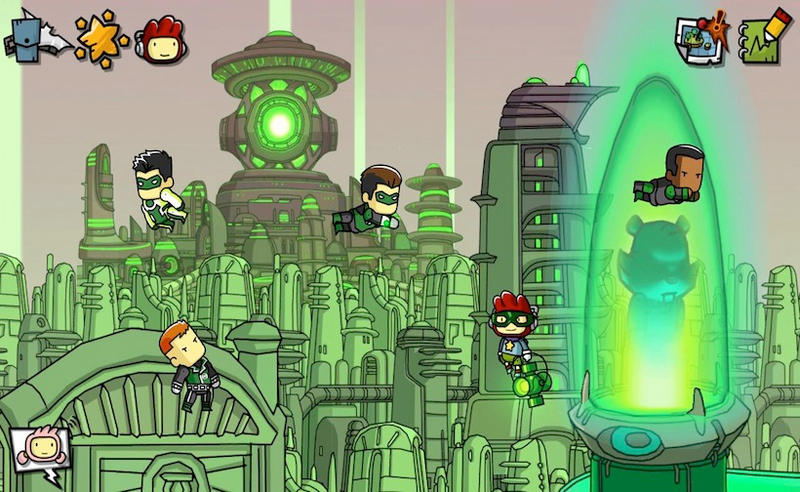 For example, when I looked at Green Lantern (Hal Jordan), I was able to check through the Batcomputer and also find out about the existence of Red Lanterns and Blue Lanterns. Given that there will be over 2,000 characters, I'm sure I won't be the only one surprised by the game. 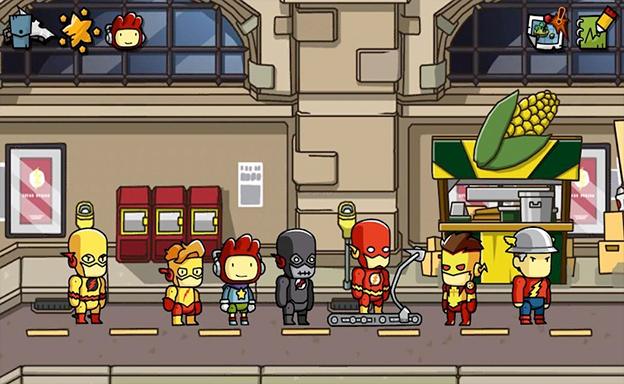 Another element of Scribblenauts Unmasked that was visible in the E3 2013 demo was the randomness of available missions. Whenever Maxwell enters an area, new missions will be randomly generated for him to undertake. Heroes and civilians may need assistance, and Maxwell will have to either personally handle the problem or generate some heroes to take care of things. I checked out the randomly generated missions by leaving Gotham City for the Batcave, then returning to Gotham. Sure enough, different heroes and villains were there the second time around, asking for more aid. 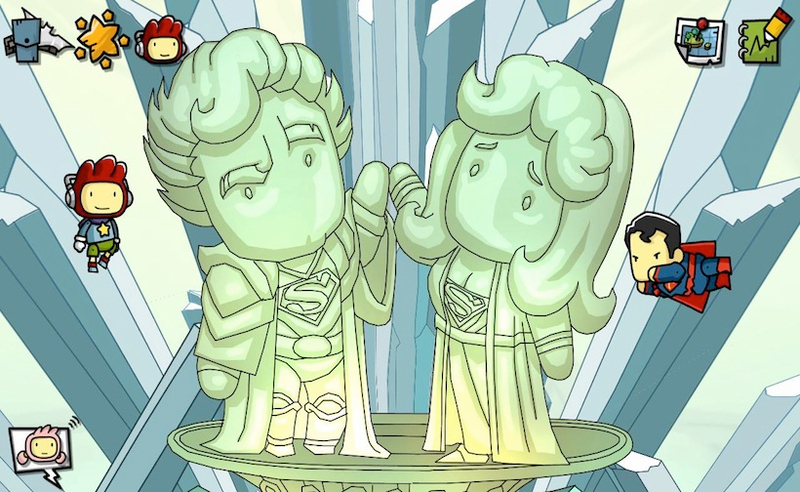 Of course, I couldn't let my time with Scribblenauts Unmasked: A DC Comics Adventure end without attempting to solve Maxwell and Lily's initial dilemma. Who would win, Batman or Superman? Well, I couldn't just spawn Batman and Superman and expect things to take their course. After all, they're on the same side. So I went ahead and exchanged Superman for Bizarro Superman. I mean, it's close enough. I'm happy to report that Batman won the fight, though a part of me suspects it may have been due to the fact that he got the first few hits in when the battle began. So much for conclusive evidence that could solve that quandary! 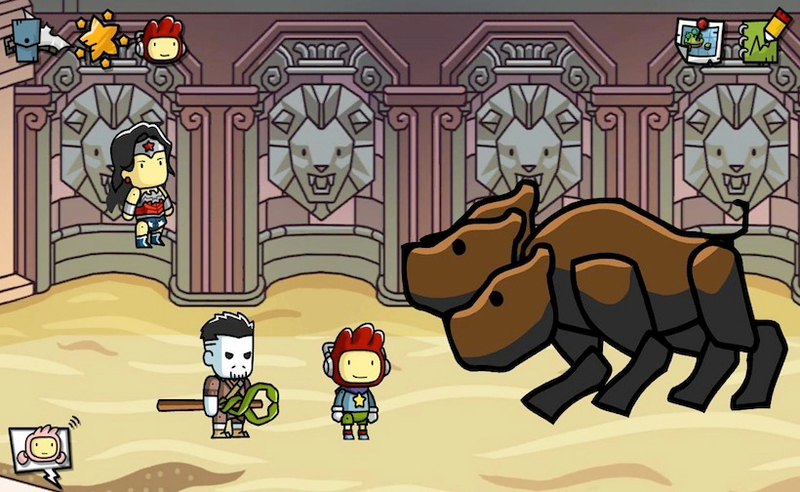 Perhaps you'll do better when your Scribblenauts Unmasked story begins. 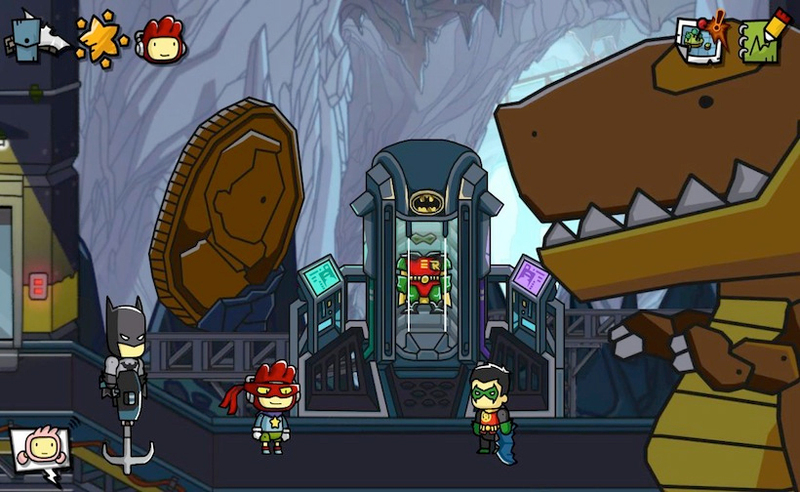 Vast DC Comics Universe--summon thousands of DC Comics characters and objects--all drawn in the unique Scribblenauts art style! Extensive Replayability--dynamically created puzzles called Heroic Feats increase the game's replayability by continuously generating original scenarios requiring different solutions with each visit. Super Hero Creator--On Wii U and PC, players can create their own Superhero or Super Villain using any item from the DC Universe and then setting properties for how it behaves, changing its appearance and powers. Players can then share their creations with the community and download others. Deep DC Comics Object Database--Players wanting help can reference The Batcomputer, an in-game encyclopedia that lists the names and descriptions of objects from the DC Comics Universe.